Sweet corn chicken soup is an Indo Chinese soup dish. 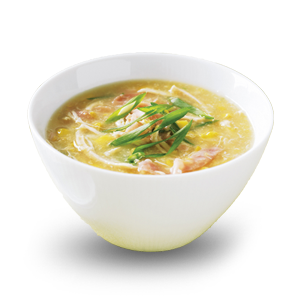 These include the use of cream style corn, chicken stock and egg drop that gives the soup its wonderful texture. The soup has a sweet-salty flavor where shredded chicken is simmered in a sesame oil toasted chicken broth and cream style corn. © Copyright 2018 The Coimbatore Club.